KATHMANDU, June 19: Six months after their humiliating defeat in the National Assembly (NA) elections, the main opposition Nepali Congress (NC) party has also turned out unlucky in the drawing of lots to determine the tenures of the 59 upper house members. The NC managed to elect only 13 members to the-59 member NA in the poll held earlier this year. And now over half its upper house members will lose their posts in two years. 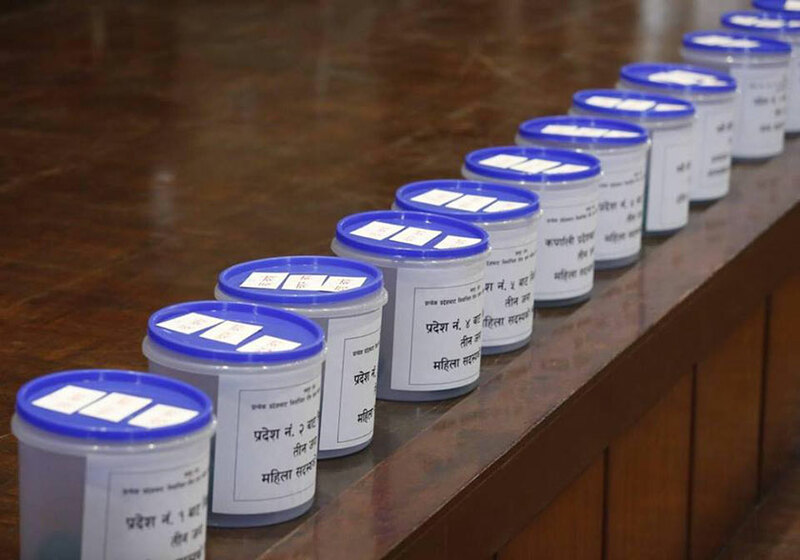 They picked two-year terms in the draw of lots held at the parliament building on Monday. With the constitution provisioning to fix the terms of the upper house members through lots, the parliament secretariat had asked the NA members to draw the lots . Lots decided the 19 members each who will serve for two and four years respectively. The remaining 21 members will serve for the full six-year term . Once the term of 19 NA members expires after two years, the Election Commission will hold elections to pick new members to the vacant posts through a single transferable voting system. 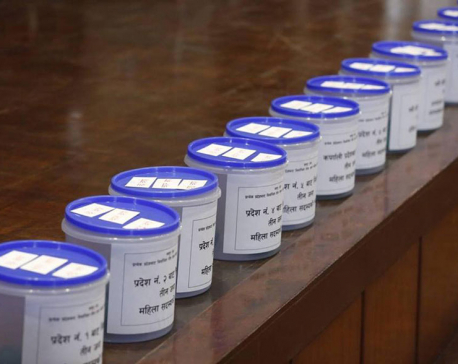 As the NC is in a minority in the Electoral College, which comprises provincial assembly members and the chiefs and deputy chiefs of the 753 local units, the party is likely to lose its existing 13 seats in the upper house, said experts. 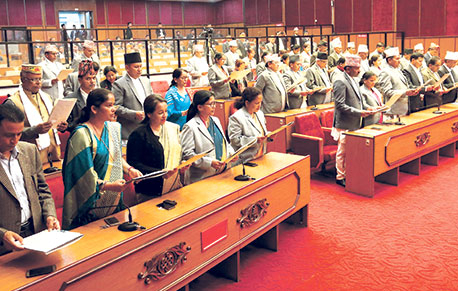 Seven NC members will have just two-year terms at the upper house while two others will have four-year terms and the remaining four will have six year terms. NC lawmakers Surendra Raj Pandey, Badri Prasad Pandey, Durga Prasad Upadhyay, Dhan Kumari Khatiwada, Binda Devi Ale, Mukta Kumari Yadav and Sarita Prasain will see their terms end after two years . Finance Minister Yuba Raj Khatiwada, who was appointed by President Bidya Bhandari, will also have a two-year term, while National Assembly Chairman Ganesh Prasad Timalsina and Home Minister Ram Bahadur Thapa are in for the full six-year term. Vice Chairperson of the upper house Sashikala Dahal will have four years. Other members with two-year terms are Haricharan Shiwakoti, Ramesh Prasad Yadav, Balaram Prasad Banskota, Kali Bahadur Malla, Mina Budha, Yutal Tamang, Kamala Kumari Oli, Khemraj Nepali, Ramprit Paswan, Raj Kumar Kunwar and Brishesh Chandra Lal. The terms of Parasuram Meghi Gurung, Suman Raj Pyakurel, Radheshyam Adhikari, Dinanath Sharma, Chandra Bahadur Khadka, Khagendra Prasad Puri, Sher Bahadur Kunwar, Ram Narayan Bidari, Nainkala Ojha, Shahikala Dahal, Udaya Sharma Poudel, Shanti Kumari Adhikari, Komal Oli, Kabita Bogati, Taradevi Bhatta, Khim Kumar BK, Chakra Snehi, Ram Lakhan Chamar, Jeevan Budha and Agam Bantawa are four years. Ramesh Jung Rayamajhi, Jitendra Narayan Dev, Ram Bahadur Thapa, Ganesh Prasad Timilsina, Khimlal Bhattarai, Bhairab Sundar Shrestha, Hariram Chaudhary, Bina Pokharel, Pramila Kumari, Dil Kumari Rawal, Deepa Gurung, Anita Devkota, Nanda Chapain, Indu Kadariya, Narpati Lohar, Singha Bahadur Bishwokarma, Prakash Pantha, Mahesh Kumar Mahara, Ram Chandra Rai and Bimala Rai Poudel will have the six-year full term.